It's a big day, Tonic-ettes! The premiere (Spring/Summer 2011) issue of Collected Magazine is not only live, but looks to be an absolute cracker if that cover is anything to go by! 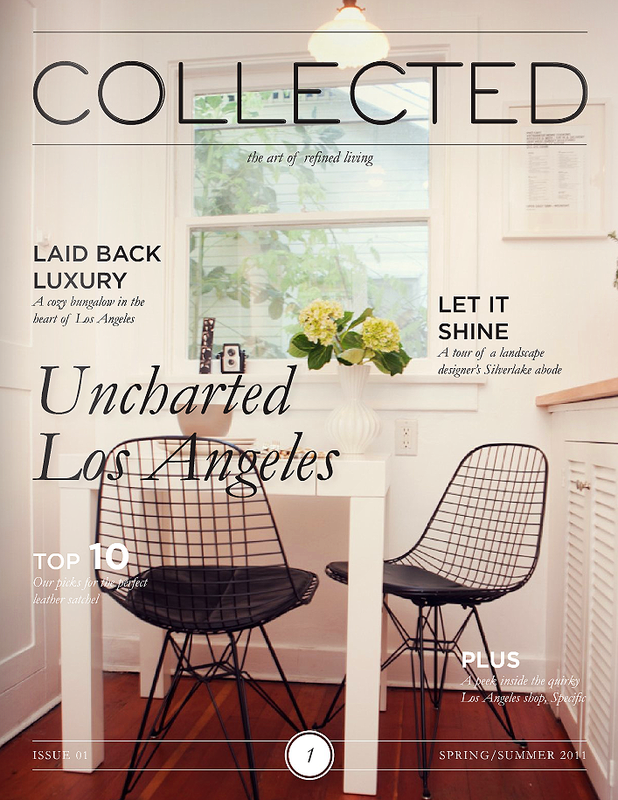 Collected was co-founded by Los Angeles-based interior designers and bloggers, Krista Schrock (amazing portfilio!!) & Jessica Comingore (awesome blog!!) who bonded over "a mutual affinity for a simple, well-designed and carefully curated aesthetic". Amen to that! Click here to read Collected. With a cover like that, I'm off to check it out!